Girl Got Faith’ is absolutely fantastic & growing by the day on all social media sites. How does it feel to know so many people are loving the blog? Because pretty much everything GGF does is online, I forget that there are ACTUAL real people the other side of the screens sometimes! It’s the best feeling ever when someone comes up to me or sends me a message to tell me they love Girl Got Faith! I’ve heard so many beautiful stories of people being encouraged and impacted by what they’ve seen on the site. It’s beyond my wildest dreams! I used to run my own personal blog (but I was never very good at updating it!) and I started to receive messages from teenage girls every now and again asking me questions about faith and life, and I remember specifically one time thinking ‘why are you asking me! ?’ – not in a rude way, because I love to help! But I just felt like I’m not really a trusted source, they don’t know me personally, it saddened me that they felt they didn’t have anyone else they could ask or anywhere they could turn to for this information. So I started doing some research to find some good resources to point people like this to, so when they have a question I can answer it as best as I can and then refer them to a website that has a whole range of content on for teen girls exploring their faith. But there was NOTHING. There were a few websites aimed at youth leaders, and some aimed at children, but nothing aesthetically pleasing for the 21st century teenage girl. I noticed a need, and I knew I was being called to something about it – I couldn’t just wait around for someone else to do something! So that’s how Girl Got Faith began. I grew up with 2 older sisters who were an incredible inspiration and encouragement to me, and so I hope that Girl Got Faith can be like a big sister to all of our beautiful readers and followers, just helping them along their journeys whatever that may look like. Last October we won 2 premier digital awards! That was super amazing! I was so excited to go to the awards ceremony because I had never been to one before, but I never ever thought we would win! So when we won not just one but TWO awards it was crazy! It was awesome to see Girl Got Faith recognised in that way. Our first ever school’s week was something I’ll never ever forget either! 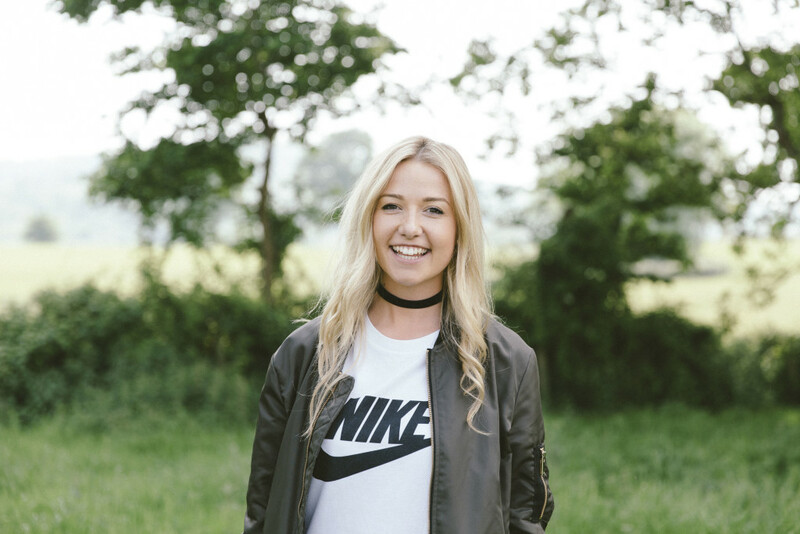 We put a lot of time and care in to creating a school’s programme that truly can impact the lives of teenage girls, so being given the opportunity to deliver that in non-christian schools and seeing first-hand that people were enjoying it and really taking it in was amazing. Girl Got Faith is your full-time job, please share a little bit about what it’s like to be able to do your passion full time? Well, for starters it’s totally not what I’d expect!!!! I think I imagined it to be super fun and exciting all the time, having all day every day to spend doing what I love! But like all things, it takes hard work and patience! I have only been doing this for 6 months and I know there is so much to be built! I have random part time jobs on the side to financially sustain me and my family, so it takes a bit of juggling and a LOT of organisation, but it’s so worth it to enable me to do what I love. Life comes in seasons, so I’m enjoying this time of being able to lay solid foundations for Girl Got Faith, but I know there may be a time that I should go back to full-time employment again, and that’s okay. You’ve just gotta keep going along with the journey! You are married to the Christian rapper Guvna B and you’re such a gorgeous couple. What would you say to someone who also wants to be married about the good and maybe some of the challenges about marriage? Ah man, marriage is a proper amazing thing. It’s so much more than just a ‘piece of paper’ or just a legal framework for a happy society. It’s a covenant before GOD! To be able to enter into a promise like that before God is such a huge responsibility, yet such an incredible honour. I think we’ve been accustomed to feel like relationships should ALWAYS be fun, and ALWAYS be exciting, which is why so many people don’t stick together for very long anymore because as soon as it gets tough we are like ‘oh no wait this is wrong!’, but there’s a reason that marriage vows say ‘in sickness and in health, for richer and for poorer.’, it’s not about enjoying all the good bits together, but about enduring the tough times side by side too. 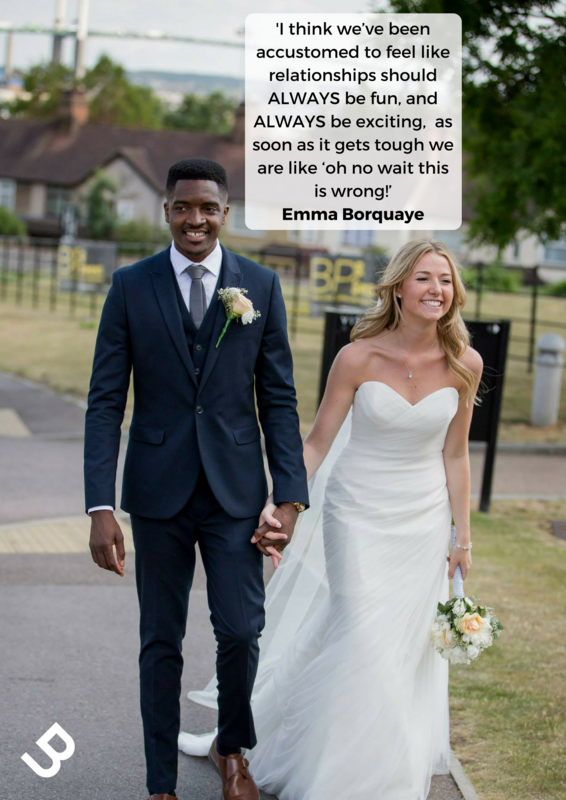 That’s what truly makes a marriage! I love looking at old couples because without knowing anything about their lives, you know they would have experienced so many highs and lows together, but there always seems to be such a peace and understanding amongst them. Like, they just get each other! And I think that only comes by going through it together and sticking by one another! Cry together and laugh together! 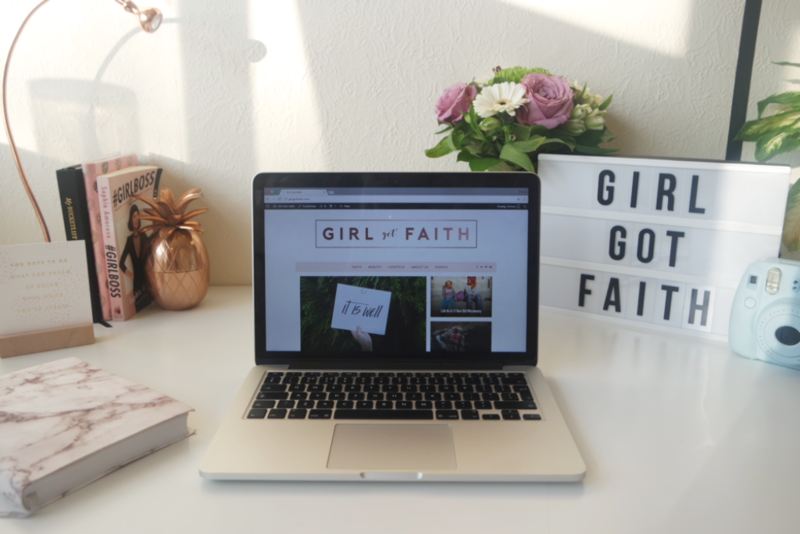 I feel like ‘Girl Got Faith’ is more than just a blog, it’s like a movement. What can we expect in the future, what’s next? That’s so cool, I love that! The mission for GGF is to see teen girls be confident in who God has made them to be, and you can’t really put that in to a 5 year plan, it’s a daily prayer! But with that being said, we hope to just keep on going! We will be back with season 2 of our YouTube channel soon, and will be doing lots more schools work throughout the year! And of course we’ll have loads of amazing, inspiring interviews! Tell us 3 interesting fact’s about you? Oh my, ummmm… 1) when I was about 10 years old the elastic popped on my skirt and it fell down to the floor in the middle of Ikea. 2) I can remember song words really quickly 3) I used to tell people I had a little sister but actually, it was just my cat. LOL!